WHY SHOULD I JOIN MVP TRANSFORMATION FITNESS? A typical formula when joining those other gyms: You join=you’re on your own= which often leads to frustration and demotivation=you give up=back to square one. Usually, the other memberships don’t offer a nutritionist, a health coach, a starter workout plan, and access to personal trainers (add’l rate) for one low monthly price….MVP Transformation Fitness does. Bottom line-we understand that when you join a gym, you want to see real changes in your life, you want to become a better you! After all, isn’t that the primary reason for joining in the first place? So, whether you are just a beginner, carrying a few extra pounds, coping with obesity, a busy mom or dad, post weight loss or simply hate those “big gyms”, we will help you get to the next level in your life. What are you “weighting” for? WHAT SERVICES DOES MY MEMBERSHIP INCLUDE? A community atmosphere/LOTS of fun! WHAT ARE THE MONTHLY MEMBERSHIP RATES? Please click on the “Join Today” button below for current offers on memberships. 1. You can join directly through the website under the Join tab. You will sign the liability waiver form and provide profile information upon your first visit. 2. You can book an initial consult online along with your first free workout by scheduling through the book online tab of this website. Once scheduled, you will come into the gym for your consult and our sales person will assist you with the fast and easy membership process to include signing the liability waiver form and building member profile. Please bring debit card account information for monthly membership dues and if applicable, proof of veteran or first responder status for limited time membership rate or any important medical information you would like to disclose to our staff. WHAT SHOULD I WEAR TO MVP TRANSFORMATION FITNESS? We suggest that you dress comfortably in light layers during the Texas summer as we are an open aired facility. Additionally, layer up during the chillier months. WHAT SHOULD I BRING TO MY WORKOUT SESSIONS? We recommend that you bring water or your favorite workout drink because you will need to remain hydrated during your workout. We will have complementary water refills available-just case you run out. We’ve got your back. You are also encouraged to bring any type of workout aid such as gloves, weight belt, etc. WHAT ARE THE BENEFITS OF WORKING WITH A TRAINER? A Certified Personal Trainer offers an expert and focused approach to provide members with an effective workout plan to meet their fitness goals and more. 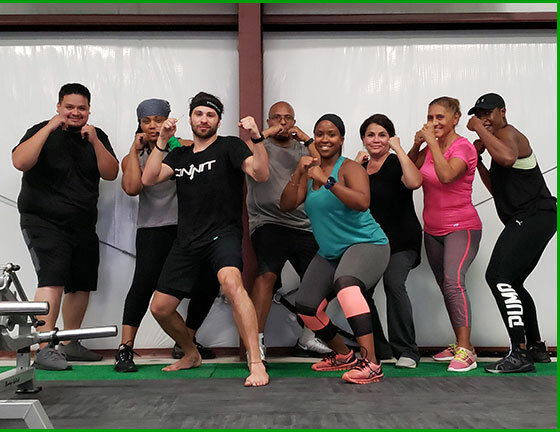 Our trainers develop a relationship with you based on understanding your challenges, physical limitations, and help capture your vision of living a healthier lifestyle. Trainers not only serve as your accountability partner, but they are able to provide you guidance regarding supplementation and other tools to crush your goals. Overall, Trainers are instrumental in helping you succeed on your fitness journey and beyond. (ADDITIONAL CHARGES APPLY). WHAT IS THE BEST WAY TO CONTACT THE GYM IF I HAVE QUESTIONS OR FEEDBACK? Please contact us via email at info@mvpfitnesslife.com with any questions. We will respond within 24 hours of receipt. Thank you! !